TLFC Principal and Business Law Specialist, Phillip Leaman shares his expertise on Adverse Possession in an article featured in the March 2018 issue of Traverse, the News Bulletin of The Institution of Surveyors Victoria. 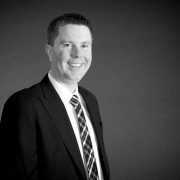 Phillip is a property and business lawyer with particular expertise in property development, adverse possession, compulsory acquisition and title issues such as easements, roads and restrictive covenants. Phillip acted for the successful party in the leading Victorian Supreme Court of Victoria authority in the area of adverse possession, Abbatangelo v Whittlesea Council. Adverse possession is a technical area of the law and surveyors should be mindful of the legal principles required to prove a claim and encourage their clients to get expert legal advice early. In some cases, you have one shot to make a claim successfully. But just because someone makes a claim, it does not mean that the registered proprietor cannot do anything to defend the claim. But before you can work out how to defend a claim, we need to understand how a claim is made. Their possession has continued for at least 15 years without interruption. Adverse possession will, as a general rule, extinguish the title of the true owner to everything above and below the surface but will be subject to existing easements unless they can be removed as part of the application. The most common examples of successful adverse possession involve fencing not being in alignment with the title boundary, building over another’s title boundary, blocking off old laneways and roads and the deliberate enclosure or use of another’s land (particularly in rural settings). Claims usually start when a party wants to replace a fence or undertake a development, subdivision or renovation and obtains a survey. What can affect whether a person can make a claim? Where the area claimed includes a road, reserve or easement, evidence of non-use for 30 years or more is required. If a road, Council will also need to confirm by letter that the land is not a road for the purpose of the Road Management Act 2004 (Vic) or on the Council’s public register of roads (if Torrens Land). Claims can be made to Land Victoria under the Transfer of Land Act 1958 (Vic), by seeking a declaration from the County Court of Victoria or Supreme Court of Victoria pursuant to the Limitation of Actions Act 1958 (Vic) or via the Magistrate’s Court of Victoria pursuant to the Fences Act 1968 (Vic). The Abbatangelo v Whittlesea City Council case sets out some useful guidance on the principles considered for a claim to be successful. For a comprehensive review of the case, see our case study at www.tlfc.com.au. Every adverse possession case is different and it is case law that has developed the criteria as to what can constitute a valid claim. There have been some recent important cases in the area. The case concerned a claim by the defendant over part of the plaintiff’s land claiming title by possession for an area of approximately 1400 square metres. An alternative claim was made by the defendant that he had acquired an easement through the doctrine of the lost modern grant. The plaintiff denied that the defendant had any claims. After an 11 day hearing, the plaintiff successfully defended the adverse possession claim and the Court ordered an easement for recreation. The orders for the easement are subject to appeal to be heard late 2018. How was the adverse possession claim successfully challenged? The land was not enclosed in any way and remained unfenced for the whole period claimed. Apart from a mow line, there was no difference between the disputed land and the balance of the plaintiff’s land. There was evidence that the alleged possessor mowed the disputed land and undertook a variety of activities on the land including ball games, storing wood on the land, undertaking burning of green waste and occasional picnics. Over the years, a few fruit trees were also planted on the disputed land. The Court found that the lack of enclosure and the acts done by the alleged possessor were not sufficient to establish the necessary intention to possess. It will always be difficult to make a claim if there is no attempt to exclude people off the land (usually done by enclosure or signage). The owner of the disputed land undertook surveys in 1995, 1997 and 2008 for the purpose of marking boundary posts, placing survey pegs to consider the subdivision of land and to determine what land to sell and to retain. If a client has large parcels of land and it is surveyed, it may be enough to restart the clock for an adverse possession claim if the surveyor surveys all the land and marks boundaries. What to do if facing a claim of adverse possession? What if there is possession but not 15 years? Consider issuing legal proceedings to seek a declaration. It is important to note that a mere letter objecting to the possession will not be enough to stop time running. It is important that you are sure that 15 years possession has not accrued otherwise you could be committing a trespass and subject to a claim for damages. Owners can sometimes use the period of possession from their predecessors in title so just because a person has only owned their land for a short period of time may not prevent them from making a claim. Always obtain legal advice early and ensure a survey is undertaken to establish the actual measurements to see what is in contention. When making a claim it is also important to consider whether the claim is prevented by statute. For example, claims cannot be made against land registered in the name of the Government/Crown, VicTrack, some government organisations and Councils. A recent case highlights the importance of checking whether a statutory immunity exists. Bhatha lodged a caveat claiming a freehold estate in some land by adverse possession. The registered proprietor of the land was a deregistered company. Assets of deregistered companies vest in the name of the Australian Securities and Investment Commission (ASIC). The Court found that there was a potential claim for adverse possession but the main issue was whether or not ASIC was subject to the statutory immunity from adverse possession as being part of the Crown (Section 7 of the Limitation of Actions Act). The Court found that ASIC held the land not as an asset of ASIC but subject to the same property rights that the company had. The company had no Crown immunity and so ASIC did not have the benefit of Crown immunity in respect to the property. The Court found a claim could therefore be made against a deregistered company. This case confirms the position that claims against original subdivider companies long deregistered can be validly made, notwithstanding the asset might be registered in ASIC’s name. However, you need to be careful because ASIC may transfer land to a Council at their request which will allow Council to rely on their statutory immunity. So how do you make a successful claim? Claimants should get clear evidence of possession from a variety of sources and obtain aerial photographs if needed. Claimants without 15 years possession in their own right should speak to neighbours, search survey records and speak to previous owners to establish possession. Clients who rely on predecessors in title need to be careful when making a claim to ensure that they independently verify what the previous owner tells them and to obtain a formal deed of assignment of possessory rights. Surveyors need to be wary that just because a person claims to have adverse possession does not mean that they will be able to establish the claim. Surveyors can assist clients by checking whether previous surveys exist and checking measurements and positions of fences, surveying all parts of the land and being careful of making statements in a surveyor’s report which are not verified by the surveyor with first hand knowledge. Surveyors should check if land is noted as a lane or road and if there are title discrepancies, note these to clients for further investigation. There are strict time limits imposed on registered proprietors to lodge a caveat to prevent an adverse possession claim (30 days) and proceedings need to be issued within a further 30 days. Given the timeframe, clients need to obtain advice quickly and be sure of their position before embarking on costly litigation. For more information concerning adverse possession and making and defending claims, please contact Phillip Leaman at pleaman@tlfc.com.au or on 03 8600 9333.